Beaconhouse National University (BNU), Lahore Spring Admissions 2019. Beaconhouse National University (BNU) was established in 2003 as a Private Sector University. It is the first Liberal Arts University of Pakistan offering various Undergraduate, Graduate and Postgraduate Degree Programs. Beaconhouse National University is recognized by Higher Education Commission (HEC), NCEAC and PCATP. 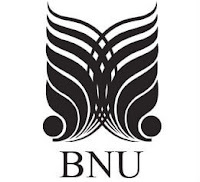 BNU is offering many Scholarships to the Needy Students. BNU is committed to provide quality education to its students. Minimum 45% marks in F.A / FSc (2nd Division). At least 3 Subjects in A-levels and 6 in O-levels. Minimum 50% marks in FA / FSc or Equivalent for BS Economics. Minimum 55% marks in Intermediate or equivalent for BBA Program. Candidates who are eligible according to the eligibility criteria can apply online from the link given below. Fill the online form carefully and then submit the required documents.